Viewing 24 of 229 items. Add your personal touch to your gifts this season with this set of paper gift tags. Sized 3.5" x 2". Flat printed in ink color as shown. Your choice of typestyles. 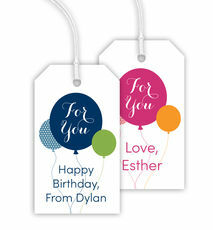 Positioning only as..
Add your personal touch to your gifts with this beautiful set of paper gift tags. Sized 2" x 3.5". Flat printed in ink color as shown with your choice of typestyle. 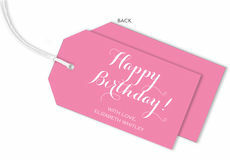 Gift tags come with a..
Add a personal touch to your gifts with this set of beautiful paper gift tags. Sized 2" x 3.5". Flat printed in ink color as shown with your choice of typestyle. 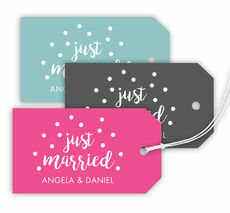 Gift tags come with a full printed..
Add a personal touch to your gifts with this pretty set of paper gift tags. Sized 2" x 3.5". Flat printed in ink color as shown with your choice of typestyle. 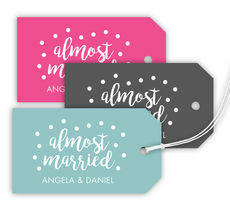 Gift tags come with a full printed back..
Add your personal touch to your gifts with this set of beautiful floral paper gift tags. Sized 2" x 3.5". Flat printed in ink color as shown with your choice of typestyle. 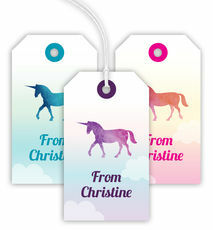 Gift tags come..
Add your personal touch to your gifts with this set of beautiful paper gift tags. Sized 2" x 3.5". Flat printed in ink color as shown with your choice of typestyle. Gift tags come with a..
Add a personal touch to your gifts with this set of western themed floral paper gift tags. Sized 2" x 3.5". Flat printed in ink color as shown with your choice of typestyle. 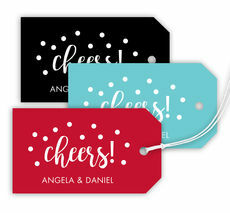 Gift tags come with a..
Add your personal touch to your gifts this season with this set of paper gift tags. Sized 2.375" x 4.75". Flat printed in ink color as shown. Your choice of typestyle. 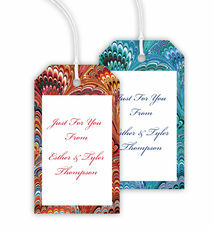 Positioning only as..
Add a personal touch to your gifts with this set of beautiful floral paper gift tags. Sized 2" x 3.5". Flat printed in ink color as shown with your choice of typestyle. Gift tags come with a full..